3, Talbot Mews is part of a new development in a secluded clos located discreetly off Brock Road in St. Sampson. The property has been finished to a high standard with high quality fixtures and fittings. 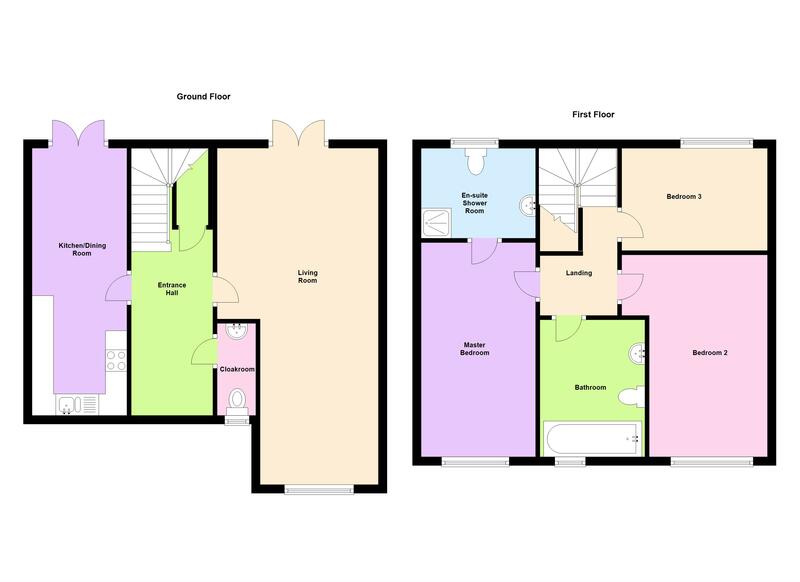 The ground floor accommodation comprises an entrance hall with under stair utility cupboard, cloakroom, sitting room with a study area and a kitchen/dining room. The first floor boasts a master bedroom with en-suite shower room, a further double bedroom, bathroom and a single bedroom. At the rear of the property two sets of french doors lead to the enclosed garden. Call Cranfords today on 243878 to book your viewing! 13'1" x 6'3" Utility cupboard and boiler room. 7'0" x 3'2" WC and wash hand basin. 20'3" x 7'3" Appliances include: Neff oven with hob and extractor unit over. Neff microwave oven. Integrated Neff fridge and freezer. Neff dishwasher. Mains electricity and water and mains drainage. Electric underfloor heating on the ground floor, radiators on the first floor.